New: Share Your Campaign on Facebook! 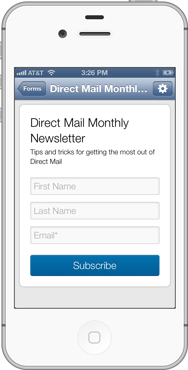 Those of you who have upgraded to the latest version of OS X (released yesterday) may have noticed that your copy of Direct Mail just gained a new feature overnight, totally for free! 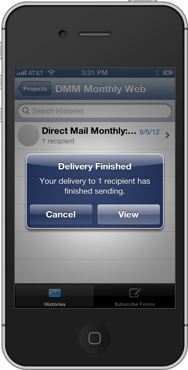 Now you can share your email campaigns to Facebook without ever leaving Direct Mail! 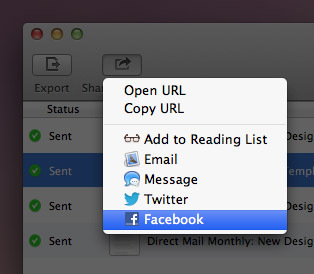 To enable this feature, make sure you’re running the latest version of Direct Mail, and OS X 10.8.2 or newer. You’ll need to sign in to your Facebook account by choosing  > System Preferences > Mail, Contacts, & Calendars, and then following the on-screen instructions. To share, head back to the Direct Mail app and click the Share Message button in the toolbar (make sure you’ve selected the sent email campaign you want to share). You can add a brief message, select the friends you want to share it with, then click Post. That’s it! 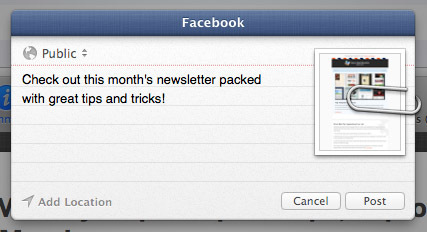 We love this easy integration with Facebook. 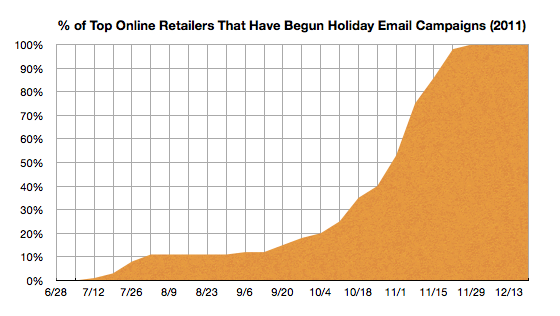 Try sharing your next email campaign on Facebook to broaden the reach of your newsletter, promotion, or announcement. As always, let us know what you think in the comments!